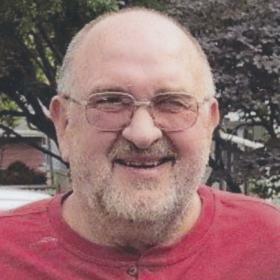 Richard H. Kruczek, age 74, of Saugatuck died Monday, October 29, 2018 at his home. Richard served in the U.S. Navy during the Vietnam War. Richard was an active attender of Shekinah Revival Ministries and was a volunteer for the Christian Neighbors organization. He was a loving husband, father, and grandfather. Richard enjoyed making people laugh and was one of the kindest and most gentle persons you could ever meet. He is survived by his wife of 48 years, Rita and children: Byron Kruczek of Miami, FL and Kim and Todd Martinson of Douglas, MI; grandchildren: Max Kruczek, Natalie, Adam, and Alina Martinson; brother and sisters: Ron and Sandra Kruczek of Craig, CO, Catherine Cosgrove of Hinsdale, IL and MaryJo and Bob McMahon of Indian Head Park, IL; many nieces, nephews, cousins and friends. A funeral service will be 12:00 pm, Tuesday, November 6, 2018 at Shekinah Revival Ministries, 1941 Washington Avenue, Holland, MI 49423. Rev. Clif White will be officiating.